The Syncfusion Vue UI components library is the only suite that you will ever need to build an application since it contains over 60 high-performance, lightweight, modular, and responsive UI components in a single package. The entire library is built from scratch to be lightweight and modular. Its footprint can be reduced further by including only specific components and features that your application requires. All components have been built as modules to enable selective referencing, so only the components and features you need are included in your application. Performance is critical for delivering a good user experience. We ensure that all our components are designed and built to achieve the best performance possible. All the components are touch friendly and render adaptively based on the device, providing optimal user experience on phones, tablets, and desktops. Pixel-perfect built-in themes are available in material, bootstrap, and fabric designs. In addition, it comes with accessible high-contrast theme and an online tool Theme Studio to customize built-in themes. Easily build applications to be used by a global audience in various language and culture settings. Complete source code, unit test files, and e2e test scripts are available on GitHub. Such components are subject to the terms and conditions of the Syncfusion EULA. With our commitment to at least four major updates per year, you receive the most up-to-date functionality and new components in addition to monthly service packs and bug fixes. Custom patches are available as needed. In addition to Vue, built-in integration is available for these major frameworks. Essential JS 2 for Angular is a complete suite of native Angular components built by extending the base TypeScript libraries. It supports all the native Angular framework features like ahead-of-time compilation and tree shaking. Essential JS 2 for React is a complete suite of React components built by extending the base TypeScript libraries. It supports declarative data binding using JSX and TSX, and tree shaking using React with ES6. Work email* Please enter your work email. Phone* Please enter your phone number. *Includes file format components only for the Vue platform. 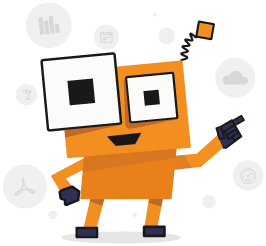 File Formats (Word, Excel, PowerPoint and PDF) *Includes file format components only for the Vue platform.